Lately, I’ve been dreaming about my mother. Not Evelyn, the only mother I’ve ever known, the woman who raised me and loved me and taught me to swim in the fresh water of Lake Chabot, bake a sticky sweet pecan pie, fly-fish. I’ve thought about Evelyn plenty in the five years since she died—I’d venture to say every day. My dreams lately are filled with the mother I’ve never met. I imagine her at sixteen years, leaving me in the care of the neonatal nurses. Did she kiss my forehead? Study her baby’s small wrinkled fingers? Or did she just scurry out, as fast as she could, hugging the wall, ducking the shadows to avoid detection until she burst through the doors, into the night air, where she could breathe again? I could have been born in a bathroom stall at the junior prom or in the back of her parents’ car. I prefer to imagine her as a scared young kid. The only thing I know about her at all is her name: Carolyn Seever, and that is likely a fake. My dreams are disjointed, filled with bright colors and blinking lights. Sometimes Carolyn is saving me from a faceless killer and sometimes she is the faceless killer, chasing me with knives up winding staircases that never seem to end. Even when I’m awake, chopping vegetables for a salad for lunch or taking notes for a board meeting, I’ll drift off, lost in a daydream about what she might be doing right now or if we have the same dark, fickle hair or the same handwriting. Wonder what quirks, biologically, I’ve inherited from someone I’ve never met, and sometimes, I’ll come to in the middle of the kitchen wielding a large butcher knife, the lettuce limping on the counter. I’ve killed quite a bit of time this way. I wonder if she’d be proud of the woman I’ve become. The benefit for CARE, Children’s Association for Relief and Education, starts in an hour. I pace back and forth in the bedroom. I’ve never chaired before and I can’t afford to be distracted, yet here I am, my brain run amok when I can least afford it. “Relax, Zoe, you’ve done a fabulous job, I’m sure. Like always.” Henry approaches me from behind. His large hands dance over my clavicle as he fastens the clasp of a single strand of freshwater pearls around my neck. I close my eyes and relax back into his lean frame, all sinewy muscle despite his forty years. He kisses my bare right shoulder and runs a hand down my side. His palm is hot against the fitted silk of my gown and I turn to kiss him. I step back and admire his tuxedo. His slick, blond hair and angular jaw give him an air of power, or maybe it’s just the way he appraises people, even me. He is studying me, his head cocked to the side. “I think the single diamond would look stunning with that dress,” he suggests softly, and I pause. He crosses the bedroom and opens the safe, retrieving one of many velvet cases and I watch him deftly remove a thin, sparkling chain, return the box to the safe, and give the dial a clockwise spin. I love the curve of his neck as he examines the necklace, the small dip behind his ear and the slope of his hairline, his hair curled slightly at the nape, and I want to run my nails up the back of his scalp. I love the long lines of his body and I imagine his spine beneath the layers of thick fabric, all hard-edged dips and valleys. I love his almost invisible smirk, teasing me, as he motions me to spin around. I comply and in one swift motion he removes the pearls and clasps the solitaire. I turn and gaze into the mirror and a small part of me agrees: the solitaire looks fantastic. It is large, five carats, and it rests above the wide band of the strapless dress, the bottom of the teardrop hinting seductively at an ample swell of cleavage. As always, I am divided with Henry. I love his authority, the strength he has that his opinions are not merely suggestions. Or maybe it’s just that he’s so different from me: decisive, definitive. But I did love the pearls. “Seems indecent somehow for a benefit, doesn’t it?” I am tracing the outline of the diamond, watching him in the mirror. His eyes flicker over my reflected body. “The size of the diamond,” I clarify. He shakes his head slowly. “I don’t think so. It’s a benefit for children, yes, but only the wealthy attend these sorts of things. You know this. It’s as much a display of the organizer as anything else. Everyone will be watching you.” He rests his hands on my shoulders. “Stop! You’re making me nervous.” I am already on edge, my mind swimming with details. I’ve done a few of these kinds of events as a second chair but never as a chairperson. There will be a large crowd, all eyes on me, and my heart flutters against my rib cage at the thought. I’ve been in Henry’s world more than a year now and the need to prove myself seems never-abating. This will be the first time I’ve taken any of the spotlight for myself. My debutante ball, if you will. And yet, I’m completely foolish. I’m risking everything for a slice of validation. These are things I can’t say to Henry, or to anyone. His palms are cool and heavy. We stand this way for an indefinite amount of time, our eyes connected in the mirror. As usual, I can’t tell what he’s thinking. I have no idea if he is happy or pleased, or what he feels beyond anything he says. His eyes are veiled and closed, his mouth bowed down in a slight frown. He kisses my neck and I close my eyes. “You are beautiful,” he whispers, and for a moment, his cheekbones soften, his eyes widen slightly, the tautness of his mouth, his chin, seems to loosen. His face opens up to me and I can read him. I wonder how many other women say this, that their husbands befuddle them? Most of the time, Henry is a closed book, his face a smooth plane, his bedroom face similar to his boardroom face, and I’m left to puzzle him out, to tease the meaning from carefully guarded responses. But right now, he looks at me expectantly. “I was thinking about Carolyn.” I wince, knowing this isn’t the right time. I want to pull the words back. He gives me a small smile. “We can talk later. Let’s just have a nice time, please?” He reaches into his pocket and pulls out his cell phone. He strides out of the room and my back is cold, missing the heat of him. My shoulders feel lighter, and when I glance back to the mirror, my mouth is open as if to call him back. It’s not that he objects to my finding Carolyn necessarily, he’s just impatient with the recent obsession. He doesn’t think these things ever end well, and he is the kind of man who respects the current “state of affairs”—he may have used those words. He can’t understand the need. You have me, he says when I bring it up. You have us, our life, the way it is now. She rejected you. I think he takes it personally. We have been married nearly a year and have the rest of our lives to “complicate things.” I think about couples who giggle and share their pasts, their childhood memories and lost loves. Henry thinks all these conversations are unnecessary, trivial. He is the kind of person whose life travels a straight path, his head filled with to-do lists and goals. Meandering is for slackers and dreamers. And certainly, mulling over the what-has-been is a fruitless effort; you can’t change the past. I admitted once to having a journal in college, a place to keep scraps of poetry, quotes I’d picked up along the way, slices of life. Henry cocked his head, his eyebrows furrowed, the whole idea unfathomable. And yet, here I am. This house. This man. This life. It’s mine, despite the insecurities that seem to follow me around like a stray cat. I stare at my reflection. A thin, pink scar zigzags horizontally across the top of my right wrist, as I touch the diamond at my throat, the setting big as a strawberry. His sure footsteps beat against the teak floor of the apartment and his deep baritone echoes as he calls for the car. Time to leave. I’ve always been attracted to elegance and I blame Evelyn’s fascination with money. It’s so easy to be consumed by it when you have none. But unlike Evelyn, I don’t look for the glossy, airbrushed facade of celebrity, the flash of comfortable entitlement. I prefer the tiny details: clean lines and sleek design. I care about whether California rolls are passé, or if the gift bags properly reflect a theme. I love when bright spiky dahlias are arranged with classic white lilies, a contrast of classic and fun, and the resulting graceful style elicits a quiet gasp of “You know, I rarely notice the centerpieces, but this is exquisite.” I muse over minutia, the table linen color—will it match the butter yellow stamen that shoots from the center of the lily?—the wine, the main course—lamb is such an acquired taste. Designing, whether it be a floral arrangement or decor for a benefit, is where I feel at home. It’s where I feel like me, whoever I am at the moment. It’s been the only constant. The New York Public Library steps are lit with hundreds of flameless candles that flicker by design, with no regard to the wind. The white marble of Astor Hall is awash with deep blue lighting. Large light installations reminiscent of bare, budding trees are intermingled with six-foot-tall columns wound with bursting white and green lilies. White lights twinkle on almost every flat surface. The tables are spotlighted in soft blue and green lights. It’s an enchanted forest, complete with hanging crystal butterflies. Metamorphosis. How apt. Henry places his hand on the small of my back and leans down to my ear. “Zoe, this looks incredible.” His breath smells sweet like spun sugar. “You were right, is that what you’re looking for?” I tease. Henry had suggested the NYPL for the venue in the first place. The rotunda looks better than I could have imagined, better than my silly sketches. I turn in place, absorbing the details, the elegance I desire so much—the six-person tables, perfect for intimate conversation, the crystal centerpieces that mimic the trees, white reaching branches thrust toward the ceiling, balancing a smattering of glass-winged butterflies. Each table is adorned with greens, small woody bundles nestled inside frosted mason jars, and blooming baby lilies. The overall effect is of being thrust into an enchanted forest, minus the wood sprites. Everything glittery, white and green, glass sparkling. I think to call Lydia, the flowers look amazing. La Fleur d’Elise did the event, as a favor to me, although my conversations with Lydia had been all business. A familiar pang of loss hits me. The walls are tastefully hung with information on CARE, black-and-white photos of past events, less elegant but more real, as the wealthy often claim to want to be real, a concept that has always made me laugh. People claim to want authenticity, another word that is bandied about at these events, yet men like Norman Krable, on the short list of the richest men of New York, are never seen on the new playgrounds or at any orphan shelter, outside of the ribbon cutting. I try very hard not to let this bother me. But yet, the black and whites hang, real and authentic, with wide-open smiles of parentless children, black and white, Asian and Indian, Portuguese and Spanish. Children who don’t understand racism or hate, only the cool rejection of a foster family’s dismissal. Some of them I know by name, but not all, and at that juncture I have to wonder if I’m any better than the Norman Krables of the world. “It’s so late for a last-minute change.” I’m skeptical, but Francesca isn’t the event coordinator at NYPL without reason. Her instincts are sharp, impeccable. I agree and one of Francesca’s hired hands changes linens. The brightness of the room softens to a deep, rich glow. The benefit is a relatively small one—only two hundred people. It’s not a formal sit-down dinner, but a simple cocktail hour with a rotating array of hors d’oeuvres all chosen to reflect the enchanted forest theme of the party: wild mushroom ragout, spring pea puree on crostini, diver scallops with foie gras butter, bison tartare. The standing tables in the corner hold silver trays, lined with Stilton pastries and raspberry chutney, strawberry ricotta tartlets with apple blossom honey. My mouth waters, but my stomach flips in nervous protest. “Simply stunning, darling.” Henry hovers next to the three-piece orchestra, a flute of champagne in each hand. He hands one to me and gives me one of his rare but dazzling smiles. Proud. At this moment, he is proud. The evening turns with unstoppable speed. I am shuttled from one table to the next, a conveyor belt for mingling. I stay mostly quiet, nod and smile. I recognize a few people but Henry knows everyone, his arm snaked protectively around my waist. It’s my event, yet somehow, Henry still runs the show. I’m appraised always, the unasked question why hovering on everyone’s lips. With every charm, every joke, every time the crowd rumbles with laughter at my husband, the women, especially the women, look at me, heads slightly cocked, a small flick of their eyes. Barely noticeable. Why you? The question is never verbalized. Now that I’ve assimilated, the men are more accepting. Tonight, they’re stunning in dark tuxedos, their faces clean-shaven and shiny; their dates, breathtaking in long draping gowns, their designers referred to only as Carolina, Vera, Donna, and Oscar. My own strapless gown, blue and adorned with white crystals, was bought off the rack at Bergdorf’s. I swing wildly between my independence and my desire to be preened by Henry. His power and his money and his affection. He pretends not to notice, and I pretend I’m not in over my head here in this world. At the moment, we both find this silent agreement charming. A reporter from the New York Post circulates, as I’ve invited him but requested that he not make a nuisance of himself. His ticket was a gift, much to the protest of the board of CARE, but in return I’ve asked for a front-page spread in the society pages. I am hoping for above the fold. I’m told that it will depend on Norman Krable’s appearance. The reporter, whose name I’ve forgotten, has strict instructions: Photograph the event. The guests. The decor. Do not, under any circumstances, photograph me. He laughed at that, mistakenly believing my adamancy derived from a woman’s insecurity and I waved off his protests with a light flick of my hand. He spends the evening quietly snapping photographs, and I can’t be certain, but I feel as though the camera is frequently aimed at me. I skim the shadows, avoid the spotlight, but too often, I catch the reporter’s eye. He seems to be one of these men who wants to rescue a woman, a she-doesn’t-know-she’s-beautiful man, like he could be the one to show me. The whole idea is silly. Skirting the spotlight has become a way of life, and not all that long ago, a necessity. Maybe even still a necessity, but I avoid thinking about it. Past donors and board members rotate on the podium. I’ve talked my cochair into being the MC. Public speaking is not my thing. The closing speaker is Amanda Natese, a twenty-­year-old culinary student who was raised primarily on the money provided by CARE. She is a success story, we hope a harbinger of things to come. We’d like more stories like hers. When Amanda was eighteen she aged out of the system and was handed $4,000, courtesy of CARE. She’s worked nights as a dishwasher and apprentice in various chain restaurants, and recently she enrolled in culinary school. Her speech is met with a standing ovation. The reporter is snapping madly. It doesn’t hurt that Amanda is a stunning six-foot-tall black woman born with a grace the system was unable to take from her. I greet her offstage, in the darkened wing, and give her a hug. Up close she is teary, and I feel the edge seep away. This matters. I repeat it like a mantra, it’s the best I can do. I seek Henry. In public, I always seek Henry. I can’t help it. He is only moderately tall, but his glossy hair is a beacon. In a crowd, he is charming, erudite. His comments are thoughtful and he is well versed in current events and politics. His opinions are generally heavily considered and almost never debated. Something about the tone of his voice, floating above the din of the crowd. I find him in a circle, men nodding along with him as he waxes about tax benefits. A redhead leans toward him, whispering in his ear, and he laughs. When he sees me, he reaches back, pulls me into the circle against his side, between him and the redhead, and she gives me a sly smile. There’s that why. She relocates to his left, continues to lean toward him. She whispers clever commentary out of the side of her mouth, words I can’t make out, bits of gossip I don’t understand. She and Henry know the same people. I absently tend to a wayward strand of lights. Eventually, she wanders away. Norman Krable shows up late, a blonde on his arm who is not Mrs. Krable, and the crowd buzzes with the slight whiff of scandal. As I catch the Post reporter’s eye, he gives me a small wink. Above the fold, it’s all I’m asking for here. He nods once, the blonde cementing the spot, and I sigh with relief. The charity has never been featured in the Society section, but my goal this year was to bring it up to the celebrity level. Not for the glitz and the glamour of it, that’s more of a liability than anything to me, but for the fact I am deeply attached to the cause of helping adopted and orphaned children. Then again, I am one. “Silly man,” Henry murmurs from behind me. Henry knows Norman and he’s always been fairly vocal about his impatience with adulterers. It’s easy for Henry to chide, as his wife is not yet thirty years old. I remind him of this, as a private joke, and he tells me what he always tells me. I will love you when you’re ninety. The buzz dies down, and later I hear that Norman’s blonde is lovely to look at but dumb as a stone. Henry almost laughs at this, but not quite, the soft laugh lines around his mouth deepen and he gives a muffled harrumph. The evening is ending, the number of guests leaving tipsy and laughing is a sign of success, I think. I have spoken with 90 percent of the people there and I am worn. Tired. I lean against Henry’s shoulder. “I’m sorry, we’ve been watching you all night and I have to ask,” says a voice from behind me. I turn and stare. The woman continues as though my face has not drained of all color. “But you’re Hilary Lawlor, aren’t you? You are! We’d know you anywhere.” The woman is round and soft and friendly and her husband is almost a mirror image of her—two Weebles standing side by side. I concentrate on breathing, but I’d know them anywhere, their happy laughter, their identical snub noses—hers freckled, his not. Her round bright blue eyes, framed with black spidery lashes. She’s gained about twenty pounds in the past five years and, not surprisingly, so has her husband. I am hot and cold at once; my head is buzzing. I’m overly aware of Henry’s arm brushing mine, and I sense him straighten up, take interest. “I’m sorry, you must have the wrong person. My name is Zoe Whittaker.” I turn and grasp Henry’s arm, too hard. Henry says nothing but wrinkles his brow, my back turned to the couple. In five years, this has happened only one other time. One other incident of being discovered, of being found out, and it amounted to nothing. I saw an old college professor in a restaurant and tried to duck out before she could recognize me. I saw the dawning comprehension in her eyes, a slight turn of her head, her mouth opening to speak. I paid the bill and left. It amounted to nothing, as I am sure this will, too. Yet I find that I can’t catch my breath. Quickly, he grabs my elbow and leads me outside. The air is crisp, the way an April night should be, and the wind slaps my cheeks, bringing some of the blood back. I don’t know when Henry called the car, but it idles out front and we rush into it, a tumble of silk swooshing against the leather seats. After we pile in, he pinches my chin, turns my head to him. Studies me. I involuntarily jerk my head away. He asks, “Are you okay? Are you going to faint?” I shake my head no. We are quiet while I put the pieces together and I realize it’s a bit amazing it’s only happened twice. I mean, I went to college in California but it’s not the other side of the world. This is New York, the city of millions of transplants a year. I take deep calming breaths and hope that tonight she will not call her girlfriends, her old sorority sisters: You will not believe who I saw tonight! No one will believe her. It’s too crazy. “But did you know them?” Henry watches me now, his eyes narrowed. It’s not like Henry to press an issue. He’s generally too dismissive for that. His sharp, eagle eyes are fastened now on the idea, a field mouse in his sights. But I’m lying. Molly McKay was my roommate in college. Five years ago, in the throes of finals week, I left our small one-bedroom apartment on Williard Street in the middle of the night and never came back. "Great pacing and true surprises make this an exciting read. 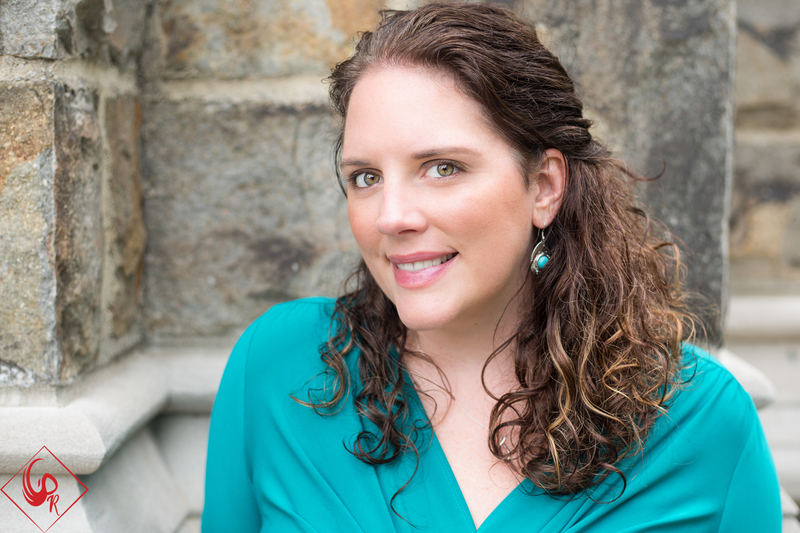 Fans of twisted thrillers featuring complex female characters will devour Moretti's latest." “The Vanishing Year is intimate, conversational company, and its plot is strong, its closing twists superb." "Moretti maintains a fast pace...chillingly satisfying." "Fans of S. J. Watson, Lisa Unger, and Sophie Hannah will enjoy this fast-paced psychological suspense novel." "Engaging, intriguing, heart-pounding. 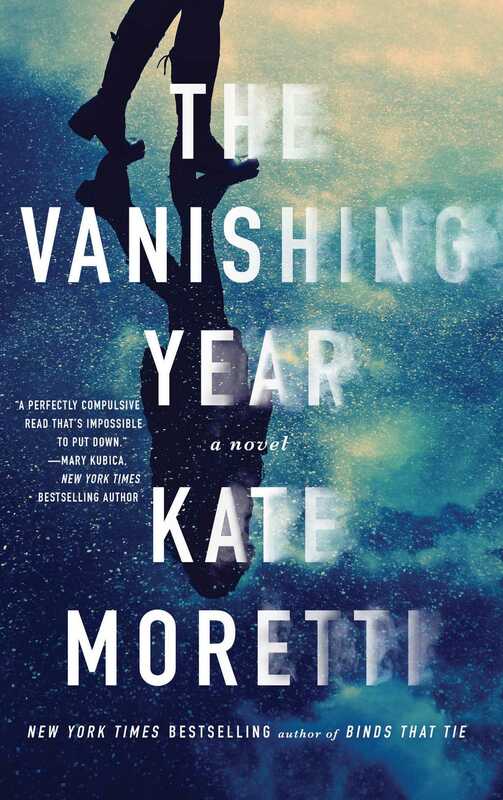 In The Vanishing Year, Kate Moretti brings us the story of a Zoe Whittaker who has whitewashed her past and taken on a new and pristine identity. Of course, nothing is exactly as it seems to Zoe, and nothing is as it seems to the reader either. The twists had me gasping, the details had me transfixed. I cared about Zoe right away, which along with everything else, made it impossible for me to stop reading this book." "The Vanishing Year is the perfect mix of pulse-pounding action and exquisite prose. The complex, unpredictable plot and Kate's layered, multidimensional characters kept me hooked until the very last satisfying page. This book is sure to be one of this year's most talked about thrillers!" "The Vanishing Year dazzles with New York’s high society, one woman’s dark and twisted past, and a marriage brimming with secrets and lies. Part psychological thriller, part edge-of-your-seat suspense, this gorgeously written novel will keep you guessing until the final reveal. Unputdownable."